The previous segment, How HomePod leverages Apple's silicon expertise to deliver advanced audio performance, focused on HomePod as a sophisticated audio system. Your iPhone, iPad and the last two iOS-based generations of Apple TV can already serve as a hub for Siri home automation. However, HomePod makes a vastly improved controller for HomeKit accessories, as it is equipped with an array of six microphones that make it a much better Siri listener than the typical iOS device or Apple TV's Siri Remote. And because it purposely integrates with your iPhone rather than hoping to replace it, HomeKit can still handle tasks that require authentication, when that level of security is necessary (such as when you want to unlock your front door, something that involves security issues when requested by voice). In addition to dynamically adjusting its own audio playback to fit the environment, HomePod has an almost uncanny ability to hear your "Hey Siri" requests even while it's playing music at a relatively high volume. Additionally, if you want HomePod to quietly play barely-audible background music it can do that too; when you make voice requests, it responds at a natural volume rather than barely whispering back, another smart touch that shows how much thought went into making it first and foremost an ideal home stereo speaker system. Apple has also put a lot of thought into HomeKit over the past few years, so a variety of its concepts are already fleshed out and fully functional, with special attention given to security and privacy issues. With the iOS Home app, you organize your HomeKit accessories into Rooms and can configure settings among a group of devices using Scenes. The settings you configure in the Home app are understood by HomePod, so you can invoke specific accessory commands ("turn off the kitchen lights") or activate a Scene with your voice. This also lets you set up multiple HomePods in different rooms of your home for targeted control. Later this year, you'll also be able to have them playing multiple streams of content initiated from the same iOS device using the new AirPlay 2 (as you already can from iTunes on a Mac). You can already independently start different content streaming from Apple Music (directly from Apple, rather than using AirPlay from a local Mac or iOS device) on each HomePod in your home using your voice. If you have multiple Apple ID users in your home, you can set up different HomePods to work with different Apple IDs, each tied to their own Apple Music account, while working in the same HomeKit home. For example, a parent can set up one HomePod to work from their personal account, while another HomePod in a child's room is connected to theirs, enabling both to shape their own music preferences independently with the music requests they make. Everyone in the home can still invoke Siri via any HomePod to control lights and other HomeKit accessories. As a HomeKit device, HomePod appears automatically in your Home app; that's also where you can configure it. Hard press on the HomePod and select Details and you can reassign it to a different HomeKit room or add or remove it from Favorites (which puts it both on the main page of the Home app, as well as in the Favorite items that can be accessed from Control Center if you have Home configured as a control there). You can set up HomePod to use your personal Apple ID, or you can connect it to a Family Sharing account with a shared Apple Music subscription. This lets you also share Reminders with the family group, but it does not yet support other iCloud services such as shared Notes. Expect Apple to expand support for other iCloud services across Family Sharing in the future. No matter what Apple Music account is configured, HomePod will take requests from any person in the room. There's currently no way to have Siri only respond to your own voice. However, you can optionally turn off "Use Listening History," so that music requests made by Siri to the HomePod don't affect your personal music recommendations. This setting also prevents others' requests for Podcast playback from affecting the playback state across the devices connected to your Apple ID. You might want to deactivate the Use Listening History setting when you invite others over for a party, for example. Home app settings for HomePod also let you Allow Explicit Content and turn Sound Check on or off. Other settings let you shape how Siri works on a given HomePod: you can turn off "Hey Siri" so HomePod stops taking verbal requests entirely, and independently enable Siri using a touch and hold gesture on the top of the HomePod. Other settings let you control sound and light feedback when Siri is active, as well as setting the language, accent and gender of the voice that Siri uses. HomePod turns on Location Services by default to use nearby WiFi and Bluetooth devices to locate itself, allowing you to ask about nearby businesses or the current weather. You can turn this off in the Home app. Other HomePod-related settings appear in the main Home app settings page, opened (somewhat inexplicably) by tapping on the location icon on the main Home screen. You can set up multiple Homes here, and define hubs for each Home. This is also where you define the users who have access to control and monitor any of the accessories in your HomeKit setup. As the primary Home user, the iPhone of the Apple ID used to configure HomePod can choose whether to enable "Personal Requests." If you have multiple iOS devices connected to your Apple ID, the device you select in iCloud's "Share my Location" setting for Find My Friends and Messages is used to access your Personal Request data. Enabling Personal Requests allows Siri-based access to your Contacts, Messages, Reminders, and Notes from your HomePod, but this access also requires that your iPhone is active on the same WiFi network. If you leave the home or turn your phone off, other users can't ask HomePod to send out Messages from your account. As with "Use Listening History" mentioned above, you might want to temporarily disable "Personal Requests" if you have over any guests who you don't want to potentially snoop into your personal data via your HomePod using Siri. Two other settings that are on by default for the primary user are Allow Remote Access and Allow Editing. If you invite another user in your Home to control your HomeKit settings, you can turn these options off on a per-user basis, enabling them to access and monitor HomeKit devices only when they are on the premises, or optionally allowing them to add and remove HomeKit accessories and change the Home configuration. The main Home setting page (not the HomePod page) is also where you can install HomePod software updates (they are installed automatically by default), as well as configure who has AirPlay streaming access to your HomePod speakers (and any other AirPlay speakers in your home). You can set a password that is required for access via AirPlay, or leave it open for Everyone, Anyone On the Same Network, or only the users you have invited to share your HomeKit setup (Only People Sharing This Home). As a HomeKit device, HomePod can be turned on or off using the Home app from outside of your home, but it doesn't yet do much else within the world of HomeKit. It currently primally serves as a way to use Siri voice commands affecting other HomeKit devices. In the future, Apple may likely add the ability to see what's actually playing on HomePod from the Home app, so you could set or change this remotely. A more useful feature would be enabling HomePod to participate in HomeKit Scenes, something it appears it can't currently do at all. This would enable you to create a Wake Up scene that opens the blinds, turns on the lights and begins playing News or your desired radio station or playlist. An I'm Leaving scene could also shut off the lights, lock the doors and stop all playback across any HomePods you have installed. Currently, however, HomePod appears to expose nothing more than on/off playback control in HomeKit, and even this can only be triggered manually in Home; you can't add HomePod to a Scene that turns it on or off. While there's no graphical interface in the Home app for most of what HomePod can do, Siri can be used to directly request a variety of tasks, starting quite obviously with playing music: you can intuitively ask Siri to start or stop playback, skip the playing song entirely or skip ahead a given number of seconds, replay the previous track, turn the volume up or down or set it to a given percentage. Using an Apple Music subscription, you can ask for specific artists, songs and albums, or ask Siri to play a given genera (alternative, jazz, French Pop) or a mood of music (lively, upbeat, blue, soothing, even "safe for kids") or to play music appropriate for a given activity (bedtime, cardio, meditative, party, studying, wake up). You can also tap into the recommendation engine of Apple Music by asking HomePod to simply play "songs I like." As a song is playing, you can actively shape this by saying things like "Hey Siri, I like this." Songs you request via Siri also influence your future recommendations, an option you can temporarily stop (as noted above) by turning off "Use Listening History." You can also request HomePod play Apple Music's curated playlists such as "Chill Mix," features such as "Best of the Week," or its virtual radio stations like "Pure Pop" or "Beats One," or playlist "stations" you have previously created based on an artist. In addition to using Siri, there are tap controls for playback that work by touching its top surface: one tap to pause or resume playback, a double tap to skip to the next track, a triple tap to play the previous track, and taps on its +/- virtual buttons to control the volume. Again, if you have guests over and don't want anyone chatting with your HomePod, you can temporarily turn off "Hey Siri" in the Home app so that all control of playback requires using these gestures or taps in Control Center or AirPlay on your iPhone. Siri will still be available with a tap and hold gesture on the HomePod unless you also deactivate that, too, and you can also turn off all of the tap gestures. The "Musicologist" data associated with the Apple Music library also lets you ask Siri about playing tracks, such as "who is this," or "when was this released." With 45 million songs in its licensed library of music, you might run into issues with Siri not always understanding how to pronounce or understand unusual or foreign language song names. There's currently no way to teach Siri song information, in the way you can tell it how to pronounce the names in your contacts or to understand relationships ("Hey Siri, Grant is my brother"). However, you can in most cases spell out a name if Siri is having trouble understanding it. Songs playing from other sources (YouTube, Spotify or local iTunes Match tracks) may be able to respond to some of these requests if the app developer supplies the appropriate metadata. If an app supports Apple's Now Playing APIs (which present currently playing song information in Control Center), Siri is likely able to answer questions from the data the app supplies. Siri can't currently tell you anything about generic MP3 tracks you play that have no metadata attached to them. 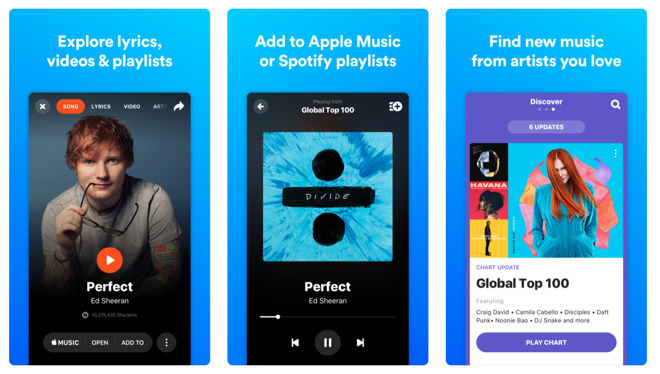 However, this may change now that Apple has acquired Shazam, which has a core competency in recognizing tracks and even mixes of songs beyond the Apple Music or iTunes catalog using song sampling signatures. Note that Apple Music is also not yet even three years old. With subscription content playing a key role in Apple's Services revenues and strategy, you can expect that HomePod and Siri's "Musicologist" capabilities will continue to grow and expand, with a focus on making music and artists easy and convenient to access. Beyond music, you can also request HomePod play news reports from a series of major news radio broadcasters, as well as any podcasts listed in iTunes. Apple currently officially supports HomePod only in the U.S., U.K. and Australia, and the news channels it supports reflect those initial launch regions. If you have a HomePod set up with a U.S. Apple ID, it will still work outside the U.S. (Note that with any iOS device, if you configure it to work in an unsupported region, the iOS News app simply disappears). HomePod plays news radio feeds and broadcaster-curated new podcasts from a variety of sources without the restrictions of the iOS News app (which presents selected content from news sources that is often behind a paywall on the web, unlike publicly-available radio podcasts). For U.S. news, you can request the latest news reports from NPR, CNN, CNBC, ESPN, Fox News, Bloomberg, NBC and the Washington Post, as well as music industry headlines compiled by Apple Music itself. News from the U.K. is available from the BBC, LBC and Sky News, while Austrailian news reports can be requested from ABC, SBS, Fox Sports and the Seven Network. You can also use HomePod to ask Siri about current sports scores, players, statistics and historical information from a variety of international leagues in baseball, basketball, cricket, football, golf, hockey, soccer and tennis, and ask about details of Olympic teams, including medal standings from the 2018 winter games. Playing iTunes podcasts is also a primary feature of HomePod. It will play any of the wide range of audio podcasts listed in iTunes that you request, along with the audio portion of any video podcasts you ask to hear. As with music requests, you might have trouble getting Siri to recognize some podcast names. Somewhat ironically, one of the hardest podcasts to request on HomePod we discovered to be our own AppleInsider Podcast. Siri consistently offers to play a similar sounding Apple Cider podcast, regardless of ones' listening history or podcast subscriptions in iTunes. Alarms you configure via Siri (or from the HomePod's own device setup page in the Home app) are not connected to anything else in the HomeKit setup. HomePod Alarms only play a generic jingle on the device, and can't yet be configured to play news or a podcast or music or to trigger a HomeKit Scene or even play a selected ringtone. You can manually set multiple alarms for a given HomePod in the Home app (or via Siri; when you ask Siri to set an alarm for a specific time, the alarm time is also added to the list of active alarms in the Home app). Like iOS alarms in Apple's World Clock app, once you set an alarm it remains in the list after it goes off, but is turned off. You have to remove any old alarms manually, or you can just ignore them and reactivate the same alarm time later. HomePod alarms also work like World Clock alarms in that they can be set to be reoccurring, but only on a day of the week basis ("every Monday"). There's no provision for setting an alarm that goes off every ten minutes or every 48 hours or on a future date. Apple is aware of feedback on the simplicity and limitations of its Alarms, Reminders and Timers, which currently work differently across its various platforms. Hopefully, these inconsistencies will be harmonized and you can expect these features to improve as Siri becomes a prominent feature of HomePod. Apart from Alarms, other Siri-activated, iCloud-synced features include sending Messages (sent via Apple's own app or a third party service such as WhatsApp, WeChat or Skype) or setting Reminders, Lists or Notes. These are sent directly to the apps that handle them and do not appear anywhere in the Home app interface. The reason Alarms appears in the Home app is because you might want to set up HomePod as your alarm clock, independent of your iPhone or other devices on your iCloud account. With HomePod connected to your personal Apple ID, and with Personal Requests turned on, you can much more efficiently use Siri to perform some tasks across the room. Unlike the often duplicative answers you might get if you say "Hey Siri" in earshot of both your iPhone and Apple Watch, HomePod does a better job of taking requests and preventing your phone from responding. As Siri continues to get smarter, you can expect your various devices to leverage Continuity to better decide which should respond to a given request, in the same way that HomePod is currently beginning to work, and as CarPlay works. HomePod still can't consult your calendar or schedule appointments, an issue that appears to be a 1.0 launch limitation. There are also other third-party Siri features that HomePod doesn't yet support, including ride booking, making payments or restaurant reservations. There are also a series of Siri commands that only really make sense to use with your phone or Apple Watch, such as requesting photos, beginning a workout, calling up the QR code for a social media app, and of course, anything related to CarPlay. Given that all these Siri requests already work on iPhones, it appears that the limitations related to things like calendar events, ride booking and calls are actually issues Apple is working out with Continuity and Handoff integration between HomePod and iOS devices, issues that should be simple to roll out in an upcoming software update. There are a variety of other Siri features that do work well on HomePod (with some caveats), and may actually be more valuable now that they can be casually directed to Siri across the room using HomePod, rather than requiring a more careful request recited to a Mac, iPhone or Apple Watch. These include requests for unit conversions (what's 5 Celsius in Fahrenheit? ), math (what's 6 and 25.3 and 11.7? ), weather and traffic reports, stock prices, translations to select languages (although it appears Siri can't translate foreign language words back into English, "yet"), and word spelling ("how do you spell 'thorough'?"). Siri also has a series of limitations that have already been addressed by other voice assistants. For example, Amazon's Alexa recently introduced an ability to recognize the voice of a registered user, and includes some novelty features such as playing voice-based games and telling jokes. A more significant advantage of Alexa is its ability to directly stream from alternative music services, which on HomePod requires AirPlay streaming from another iOS device or Mac. Amazon has also jumped on a variety of partnerships with appliance makers, devices and home automation platforms that rival HomeKit. 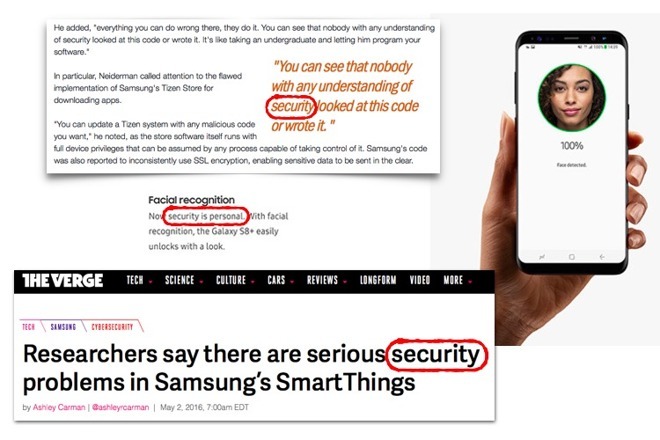 Its leading partner, Samsung's SmartThings, has a history of suffering from serious security lapses. Maybe rushing to be first is not the best strategy in home automation, where security issues are serious matters. The HomeKit automation, iCloud app integration, Apple Music and Podcasts content services and Siri functionality that Apple provides for HomePod are all things Apple can enhance in software. 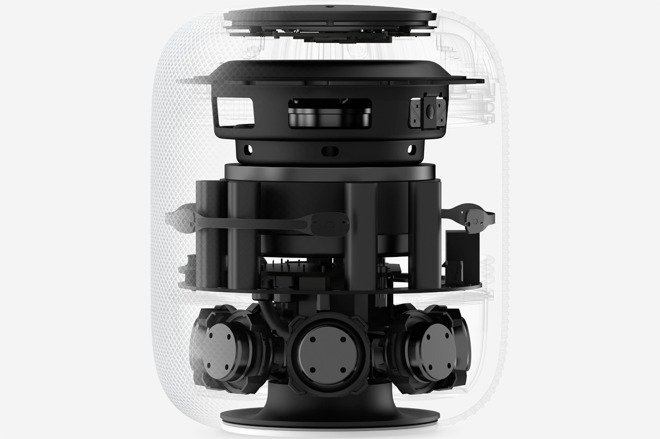 As noted in the previous segment, HomePod's hardware, both in its sophisticated speakers and in its computational power, is a more formidable hurdle for rival "smart speakers" to challenge, as their $50 and up hardware can't really be upgraded to sound better, improve the processing of audio data or to hand off or coordinate requests to mobile devices. That fact is a primary differentiator between the premium hardware of HomePod and the voice-first products that are shipping with connections to Amazon's Alexa or Google's Assistant, as the next segment will examine. The only issue that I've had with Siri on HomePod so far is that using the "snooze" command in connection with an alarm can sometimes fail if HomePod has temporarily lost connection with the internet. It's kind of a weird situation, since you know that Siri does require an internet connection BUT the command request does not. I've never been able to get the built into these devices to work directly with products like Hue without still using the Hue Smart Bridge. That may be a fault of the third-party products, which require their own hub. Likely due to using some proprietary protocol rather than HomeKit. But I'm not an expert on that yet. Seems weird that you'd experience this on a regular basis — HomePod losing its internet connection — you may want to do a complete review of your home network to figure out why. As much as we'd all just expect everything to work, radios do interfere with each other. Crowded airspaces and devices in close proximity can be invisible nightmares. Keep your HomePod away from other wireless devices, including your phone. Turn off any Bluetooth antennas that are not needed. For example, if you rarely use Bluetooth on your computers, turn it off until needed. Tweak your WiFi networks by adjusting the signal strength and channels being used. Choose 5GHz over 2.4GHz when appropriate, and vice versa. 1) You don't need the Hue Smart Bridge with the Echo Plus. 2) Aren't all devices that use HomeKit (or any other smart home connections) 3rd-party devices? You shouldn't have to disable wireless in your devices so that wireless works. Between the Apple Watch and AirPods we need BT in your iDevices and Macs. At least I do. * Turn off baby monitors until they are needed. From my experience they can disrupt WIFI connection speeds. ...can sometimes fail if HomePod has temporarily lost connection with the internet. This happens to me regularly with both my phone and Dots, but almost never at the same time. Siri is a little more reluctant to comply than Alexa, who I suspect is far more submissive than Siri. When something happens Siri blames me, saying to check that I'm on the right network and open HomeKit. Alexa either goes mute or gets embarrassed and tells me 'Your Echo Dot has lost it's connection'. It miraculously recovers in about 2sec. or less. There also some problem with both of them relating to HomeKit, but don't know what. The state of home automation is a huge mess. HomeKit hasn't done anything to simplify it. Hue bulbs use ZigBee which is a low-power, more efficient protocol. They don’t have wifi. The bridge is what they connect to to interact with wifi and HK. Other devices vary. My iHome outlets use wifi directly and don’t need a bridge. No, home automation is much easier and much more readily consumable and affordable than it ever has been in decades past. HK devices work fine for me and are simple to build into scenes in the unified Home app. "...you can set up different HomePods to work with different Apple IDs, each tied to their own Apple Music account, while working in the same HomeKit home." Can anybody expand on this bit? I've got one HomePod in the study and another in the family room and I'd like to do personal requests on my account on one and my wife's account on the other. We are in a family group, our HomeKit home was configured using my account, and she's an authorized user. I tried to set the first one up using her account but it forced me to create a new HomeKit home in her account. I've subsequently seen an option to enable configuration changes to HomeKit in her account but wanted to get some confirmation that was the missing bit before reconfiguring. It was a bit of a nightmare last time to get cleaned up. HomeKit is a bit fussy about that sort of thing. Also, assuming I get this sorted out, does it mean that that "Use Listening History" would be specific to that account on each HomePod? I can't imagine Steve up on stage beaming with pride and joy over HomeKit -- or any home automation product. Why not? What are your specific complaints? My home’s lighting involves about a dozen Hue bulbs, I have several outlets, and a dimmer switch coming. If I could afford Serena blinds I’d get them onboard as well. It’s great to have my house auto adjust to my scenes based on the time of day, sunrise, sunset, etc. I speak exceptions to Siri via my ipad or watch or phone. It’s seamless and quite nice. What sorts of problems are you having specifically? Do you even own any HK accessories? Some products need their own hubs while others do not. Some work hubless with Google or Amazon but require hubs for the same interaction with iOS (according to posters here). Some work with Google Home but not with HomeKit and vice-versa. Heck, Siri on the HomePod doesn't have the same interoperability as Siri on your iPhone does it? I think it was even you who was having a problem identifying compatible light switches, resorting to emailing the manufacturer to confirm the one you wanted would work? and every step has required research to make sure of compatibility, available features, whether it's hubbed or hubless, etc. We've a long way to go before Joe and Minnie are ready for home automation, or it for them. Seems weird that you'd experience this on a regular basis — HomePod losing its internet connection — you may want to do a complete review of your home network to figure out why. It's happened 2-3 times in regards to the snooze. I wouldn't categorize it as regular per se. I also have high speed DSL for home internet, so that could be the biggest factor. DSL tends to hang/freeze at random a bit more than other types of connections in my experience. Sorry but you’re agenda is showing. You’re trying way too hard...it’s again clear you don’t even have or use the things you’re trying to insert complaints about. - Home automation on iOS, the topic we’re discussing, can be controlled in an identical fashion on HomePod and iPhone, iPad, Watch. - With the addition of the iOS Home app, It’s never been simpler to build scenes, schedule scenes, or trigger scenes, as one doesn’t even need the manufacturer apps to do so any longer. - As for your bolded comment, the fact that one manufacturer didn’t clearly label their product as HK-compatible in no logical way discredits home automation on iOS. Get real man. - That some devices use wifi and some use a bridge to connect to their low-power protocoled devices is interesting, but nothing more. As wifi drivers get smaller we’re seeing more wifi-first devices. Agenda?? So you come in to claim that I don't have all the home automation gear that I've plainly stated I do own and use and that you yourself do not AFAIK, but I'm the one with an agenda posting on stuff I don't own? I commented on Google Home control not being very clear and not well-explained and I'm posting FUD?? I mention that some "smart-things" work with one platform but not another, Harmony Hub being one that comes to mind, and I'm posting FUD?? I write that a "smart-thing" might work without a hub of its own on one platform but on another you need to buy something additional to make it work, or maybe it doesn't work with it at all, and that's FUD?? It's your agenda showing and not mine sir. Get real. See "Homekit Control with HomePod" in this AI article. So yeah IMHO the home control market is a rough work in progress, just a tad cloudy, just as George B Mac said.